We will perform a sonogram to determine the length of your pregnancy. A sonogram is a test which uses sound waves to see the pelvic structures. It is not an X-ray and there is no radiation. A sonogram is done while you lie down and a gel solution is applied to your abdomen. 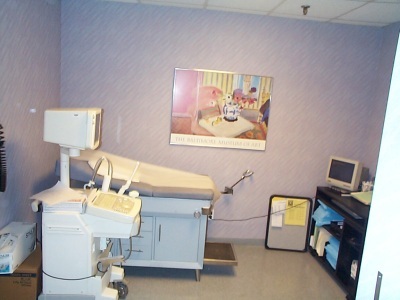 There is little or no discomfort while the sonogram is being performed. A sonogram is considered the most reliable method of assessing the length of pregnancy. Although you may have had a sonogram elsewhere before coming to our office, we must perform our own sonogram. The length of pregnancy is based from your last menstrual period and not from the date of conception. Therefore, if you think you conceived 8 weeks ago, your last menstrual period was probably 10 weeks ago and you would be considered 10 weeks pregnant. Most women are anxious to determine whether they are pregnant or not - as quickly as possible. At NY Abortion, our offices offer pregnancy testing whenever we are open. No appointment is necessary. Most test results are available within 15 minutes and our counseling staff is readily available to discuss your test results with you after the test is completed. For a nominal fee, we provide an early detection urine test that is reliable and accurate 10 days after conception, often before a missed period.